Todman at left with Mark Goodson and Johnny Roventini for the radio version of What's My Line? in 1952. William Selden Todman (July 31, 1916 – July 29, 1979) was an American television producer and personality born in New York City. He produced many of television's longest running shows with business partner Mark Goodson. Mark Leo Goodson was an American television producer who specialized in game shows, most frequently with his business partner Bill Todman, with whom he created Goodson-Todman Productions. Todman was the son of a Wall Street accountant, Frederick S. Todman, CPA, whose accounting firm was known as Frederick S. Todman & Co. and for many years was located at 111 Broadway, downtown Manhattan. The firm represented some of the United States biggest companies, including The New York Stock Exchange, American Stock Exchange, Polaroid, Eastman Kodak, Chase Manhattan Bank, and others. Frederick S. Todman lectured in post-World War II Japan as part of that country's economic reconstruction and wrote several quintessential books on Wall Street Accounting. Bill Todman's brother, Howard, was vice president and treasurer for Goodson-Todman Productions. The New York Stock Exchange is an American stock exchange located at 11 Wall Street, Lower Manhattan, New York City, New York. It is by far the world's largest stock exchange by market capitalization of its listed companies at US$30.1 trillion as of February 2018. The average daily trading value was approximately US$169 billion in 2013. 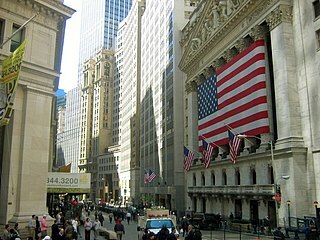 The NYSE trading floor is located at 11 Wall Street and is composed of 21 rooms used for the facilitation of trading. A fifth trading room, located at 30 Broad Street, was closed in February 2007. The main building and the 11 Wall Street building were designated National Historic Landmarks in 1978. Polaroid is an American company that is a brand licensor and marketer of its portfolio of consumer electronics to companies that distribute consumer electronics and eyewear. It is best known for its Polaroid instant film and cameras. In 2017, its parent company was acquired by Polish investor Oskar Smołokowski. Todman teamed up with Mark Goodson for radio shows. According to radio historian J. David Goldin, among their early work together was the show Treasury Salute, a program syndicated by the Treasury Department that honored military members. They later collaborated in producing game shows for radio, then moved into television, where they produced some of the longest-running game shows in history. Their many shows included Beat the Clock , Card Sharks , Family Feud , Match Game , Password , Tattletales , The Price Is Right , To Tell the Truth and What's My Line? . A game show is a type of radio, television, or stage show in which contestants, individually or as teams, play a game which involves answering questions or solving puzzles, usually for money or prizes. Alternatively, a gameshow can be a demonstrative program about a game [while usually retaining the spirit of an awards ceremony]. In the former, contestants may be invited from a pool of public applicants. Game shows often reward players with prizes such as cash, trips and goods and services provided by the show's sponsor prize suppliers. Beat the Clock is a television game show that involves people trying to complete challenges to win prizes while faced with a time limit. The show was a creation of Mark Goodson-Bill Todman Productions and first premiered on March 23, 1950. Card Sharks is an American television game show created by Chester Feldman for Mark Goodson-Bill Todman Productions. Based on the card game Acey Deucey, the game has two contestants compete for control of a row of oversized playing cards by answering questions posed by the host and then guessing if the next card is higher or lower in value than the previous one. The title "Card Sharks" is a play on the word "card sharp", a person skilled at card games. The concept has been made into a series four separate times since its debut in 1978, and also appeared as part of CBS's Gameshow Marathon. The show originally ran on NBC from 1978 to 1981 with Jim Perry hosting; a revival ran from 1986 to 1989 on CBS with Bob Eubanks as host, accompanied by a syndication production with Bill Rafferty. Gene Wood was the announcer in both the 1970s and 1980s. Another syndicated production aired from 2001–2002 with Pat Bullard as host and Gary Kroeger as announcer. Each production featured various female assistants to handle the playing cards. Todman died two days before his 63rd birthday on July 29, 1979 in New York City as a result of a heart condition. Goodson-Todman game shows that were still running at the time continued to be billed as "A Mark Goodson — Bill Todman Production". In the early 1980s, Mark Goodson acquired the Todman heirs' share of the company. Child's Play , which premiered in 1982, was the first show to be billed as simply "A Mark Goodson Television Production". [ citation needed ] The Goodson-Todman library of game shows is now part of FremantleMedia. Child's Play is an American television game show in which adult contestants tried to guess words based on definitions given by children. The Mark Goodson-produced series debuted on CBS from September 20, 1982 at 10:30 am EST. That time slot was held by Alice for a little over two years. Despite running for almost a year, Child's Play was never able to make ratings headway against either Wheel of Fortune or Sale of the Century, two hit game shows that NBC aired opposite it; CBS ended the series on September 16, 1983 and replaced it with Press Your Luck, which performed much better for CBS. This was the first game show created and produced solo by Mark Goodson after the death of his longtime business partner Bill Todman in 1979; all subsequent shows made by Goodson were credited as "A Mark Goodson Television Production". Todman was inducted into the Television Academy Hall of Fame in 2011. Bill Todman Jr. launched his career working for his father, Hall of Fame television producer Bill Todman. In 1981, Bill Todman Jr.moved to Goodson-Todman West in Los Angeles to concentrate on television production. He quickly transitioned to MGM/UA Television in 1982 as a programming executive working under the President, Thomas Tannenbaum. Game Show Network is an American pay television channel that is a joint venture between Sony Pictures Television and AT&T. John Leonard Olson was an American radio personality and television announcer. Olson is perhaps best known for his work as an announcer for game shows, particularly the work he did for Mark Goodson-Bill Todman Productions. Olson was the longtime announcer for the original To Tell the Truth and What's My Line? early in his career and spent over a decade as the announcer for both Match Game and The Price Is Right, and he had been working on the latter series at the time of his death. William Lawrence Francis Cullen was an American radio and television personality whose career spanned five decades. His biggest claim to fame was as a game show host; over the course of his career, he hosted 23 shows, and earned the nickname "Dean of Game Show Hosts". Aside from his hosting duties, he appeared as a panelist/celebrity guest on many other game shows, including regular appearances on I've Got a Secret and To Tell the Truth. What's My Line? is a panel game show that originally ran in the United States on the CBS Television Network from 1950 to 1967, with several international versions and subsequent U.S. revivals. The game requires celebrity panelists to question a contestant in order to determine his or her employment, i.e., "line [of work]," with panelists being called on to identify a weekly celebrity "mystery guest" while blindfolded. It is the longest-running U.S. primetime network television game-show. Moderated by John Charles Daly and with regular panelists Dorothy Kilgallen, Arlene Francis, and Bennett Cerf, What's My Line? won three Emmy Awards for "Best Quiz or Audience Participation Show" in 1952, 1953, and 1958 and the Golden Globe for Best TV Show in 1962. Eugene Edward Wood was an American television personality, known primarily for his work as an announcer on various game shows. From the 1960s to the 1990s, he announced many game shows, primarily Mark Goodson–Bill Todman productions such as Family Feud, Card Sharks, Password, and Beat the Clock. Wood also served a brief stint as a host on this last show, and on another show entitled Anything You Can Do. After retiring from game shows in 1996, Wood worked as an announcer for the Game Show Network until his retirement in 1998. Fred Silverman is an American television executive and producer. He worked as an executive at all of the Big Three television networks, and was responsible for bringing to television such programs as the series Scooby-Doo (1969–present), All in the Family (1971–1979), The Waltons (1972–1981), and Charlie's Angels (1976–1981), as well as the miniseries Rich Man, Poor Man (1976), Roots (1977) and Shōgun (1980). For his success in programming wildly popular shows, Time magazine declared him "the man with the Golden gut" in 1977. Fremantle Limited is a British international television content and production/distribution subsidiary of Bertelsmann's RTL Group, founded in 2001, and evolved as Europe's largest TV, radio, and production company. Its world headquarters are located in London. Jim Perry was an American-Canadian television game show host, singer, announcer, and performer in the 1970s and 1980s. Daniel "Dan" Enright was an American television producer, primarily of game shows. Enright worked with Jack Barry from the 1940s until Barry's death in 1984. They were partners in creating programs for radio and television. Their company was called Barry & Enright Productions. Bob Stewart was an American television game show producer. He was active in the TV industry from 1956 until his retirement in 1991. Kenny Williams or Ken Williams, born Kenneth Williams Fertig Jr. in Edmonton, Alberta, Canada, was an announcer for American television from the late 1940s to 1980s. He was best known as the announcer of many game shows produced by Merrill Heatter and Bob Quigley. He also appeared on screen as "Kenny the Cop" on Video Village and Shenanigans. He did one show for Mark Goodson-Bill Todman Productions, Two for the Money, in 1952. As a radio actor in the 1940s to 1950s, he appeared on shows like X Minus One, where he played Rhysling on the episode "The Green Hills of Earth". He was also one of the announcers for the Buck Rogers radio program, among others. He died at home in Los Angeles, California on February 16, 1984. Jay Wolpert is an American television producer and screenwriter. Barry & Enright Productions was a United States television production company that was formed in 1947 by Jack Barry and Dan Enright. All American Television was a television syndication company active from 1981 to 1998. It was founded by Anthony J. Scotti, Ben Scotti, and Syd Vinnedge. The company was known for producing and distributing television shows such as Baywatch, America's Top 10 and the Mark Goodson Productions library of game shows. Jonathan Michael Goodson is an American television producer who specializes in game shows. He is the son of legendary game show producer Mark Goodson and began his television career in 1973 as chief counsel of Goodson-Todman Productions. He later produced several of the company's shows. After his father's death in December 1992, Jonathan took over the company in March 1993 and ran it until it was sold to All American Television in 1995. The company was then acquired by Pearson Television in 1998, and then FremantleMedia in 2002. Ernest Roger Muir was a television producer who created several television programs and game shows. He was the creator and executive producer of children's program The Howdy Doody Show which ran from 1947 until 1960. It's News to Me was a weekly panel game show produced by Mark Goodson and Bill Todman for CBS Television. It was a derivative of Goodson-Todman's own panel show What's My Line?. Originally aired as a one-time special on May 11, 1951; It debuted as a series July 2, 1951 and ran until September 12, 1953. The show returned July 9 – August 27, 1954 as a summer replacement for Person to Person. Stewart Television was an American game show production company formed by Bob Stewart in 1964 originally based in New York City. Ira Skutch was an American television director, producer, and, in his later years, an author. In the early days of television he produced and directed episodes of Kraft Television Theatre and The Philco Television Playhouse. Skutch also worked as an executive for Goodson-Todman Productions and produced or directed the game shows Play Your Hunch, I've Got a Secret, Match Game, Concentration and many others.